Although over 20 million people will cruise this year, many other travelers avoid cruises because of one of the 10 myths listed below. Cruising is a wonderful vacation option. Don't let these cruise myths keep you from planning a cruise! Many people fear seasickness; however, today's cruise ships are very stable and seasickness is a rarity. However, for those prone to seasickness, there are many remedies available to travelers to alleviate the symptoms. Noroviruses (Norwalk viruses) are a group of viruses that cause gastroenteritis. Getting a flu shot will not prevent contracting a norovirus. Noroviruses can be found almost anyplace with lots of people in close proximity, not just cruise ships. Schools and businesses are also norovirus hotbeds. You can decrease your chance of coming in contact with the norovirus by washing your hands frequently. Most cruises are not all-inclusive. In an effort to keep the basic price low, most mainstream cruise lines charge for everything that could be considered "extra", from wine to bottled water. As ships become more creative in their onboard activities, more things come at a price. 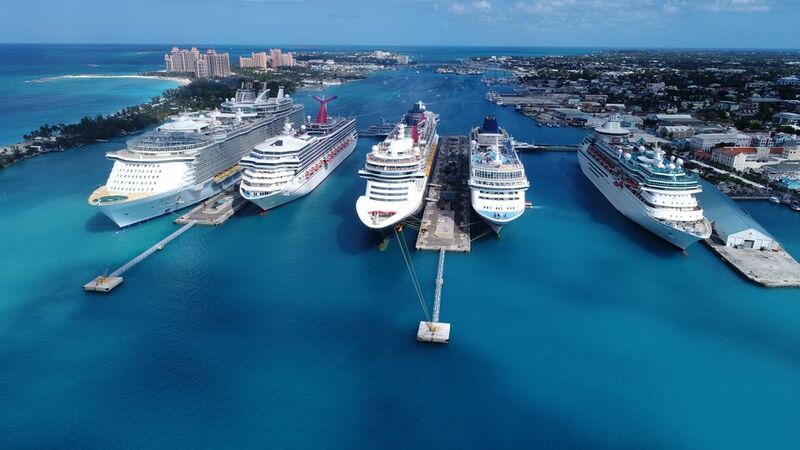 However, the basic cruise fare still includes room, board, and the traditional cruise ship amenities such as a swimming pool and entertainment, so you can cruise and only have to pay for tips and drinks if you choose. Many cruise ships feature traditional seating for dinner, with assigned times and tables. However, more and more cruise lines have open seating for dinner, which means you can dine when and where you like. Since today's cruise ships also include alternative dining venues, you can vary your restaurant choices along with your table mates. All cruise ships have a quiet corner where you can read a book or be alone with your spouse or travel companions. Although a cruise ship with over 3000 passengers can seem crowded at times, it is no more so than most hotels, restaurants, or resorts. Cruise ship managers understand crowd control much like they do at Disney World. Luxury cruise ships usually have plenty of space per passenger and many spacious common areas. Since many cruises go to the Caribbean, some people associate cruising with this beautiful part of the world. However, a cruise is more than sitting in the sun by the pool, sandy beaches, or sparkling blue waters. Cruise ships visit every continent, and anyone who loves to travel should be able to find a cruise destination that appeals to them. And, you only have to unpack once! Many cruisers are senior citizens, but most of these seniors are active, and all of them have great stories to tell about their life experiences. You will meet amazing seniors on cruise ships, and at some point, you will be one yourself! A good general rule is the longer and more expensive the cruise, the older the passenger. Sailing ships and those with water sports also usually appeal more to a younger crowd. Most mainstream cruises are marketed to multi-generational families. Although you will find partiers on a cruise ship, you will also find teetotalers and passengers of all cultures, races, and ages. The one thing all cruisers have in common is a love of travel and having fun, which doesn't necessarily equal wild partying. Like flying, cruise ships seem to have gotten a bad rap regarding danger. They are actually very safe, and with over 20 million people cruising each year, the crime rate is very low. There are steps you can take to help ensure a ​safe cruise vacation. Although this is a common fear of non-cruisers, no one should be bored with cruising. You can be as active (or inactive) as you like. Cruise ship activities range from working out in a high-tech gym to sitting on the deck and reading a book. You can learn computer skills, a foreign language, how to play bridge, or how to dance. You can enjoy Las Vegas-style entertainment or a classical pianist. Many cruise ships spend all day in port, so you can explore all the fascinating parts of the world ashore.